There hasn't been a woman writing for Doctor Who in several years — and you can make a strong argument the BBC's famous time-travel show has suffered as a result. Over at the Guardian, there's a pretty compelling article about the lack of women writing for Who, and why this matters. The last time a woman wrote for Doctor Who, it was Helen Raynor in 2008. Last year, producer Caroline Skinner said she wanted to get more women writing for the show — but she left without making that happen. The Guardian asks producer Marcus Wilson about the situation, and he replies: "Due to schedules and other projects, both male and female writers whom we have wanted to join the team simply haven't been able to. For us it's about who can write good Doctor Who stories, regardless of gender." So why does this matter? I'm quoted in the Guardian article as pointing out that somewhat more women are writing for SF and fantasy television in the United States, and this diversity of viewpoints has coincided with an improvement in the writing — not just of female characters, but of all characters. I think of The Middleman, which started its life as a comic book by Javier Grillo-Marxuach and then became a TV show with three women writers. Grillo-Marxuach has talked before about how the characters he created in his head became more complicated and fully realized as a result of the conversations he had in the writers' room. By coincidence, I was just on a conference call where Doctor Who producer Steven Moffat was talking to reporters — and Moffat talked rather a lot about the notion that the Doctor's traveling companion (who's usually female) is the focal point of the show from a storytelling perspective. She's the one the stories really happen to, she's the one who changes — even if the Doctor is the one who saves the day and all that. At the same time, I asked Moffat why the Doctor doesn't just listen to the host of people who keep telling him he shouldn't travel alone, and instead struggles against taking on another companion. Moffat responded that the Doctor doesn't want to put anyone in harm's way, and also that he's headstrong and believes he's always right. Just like a man, in other words, Moffat added. So in Moffat's own view, the Doctor is an archetypally male character — but the show rests on an ever-changing series of female characters, who actually carry the bulk of the emotion and character development. You can see why it might be advantageous to have some female writers in the mix, right? Not that men can't write female characters amazingly well — clearly they can, and you only have to read, say, Samuel Richardson's Clarissa to see a great example of a man capturing a female voice. But having different perspectives in the mix can't hurt. Even though Doctor Who doesn't have an American-style "writers room," you can still imagine how the generally one-dimensional Amy Pond could have grown a bit more if writers beyond the small group of men had tackled her. 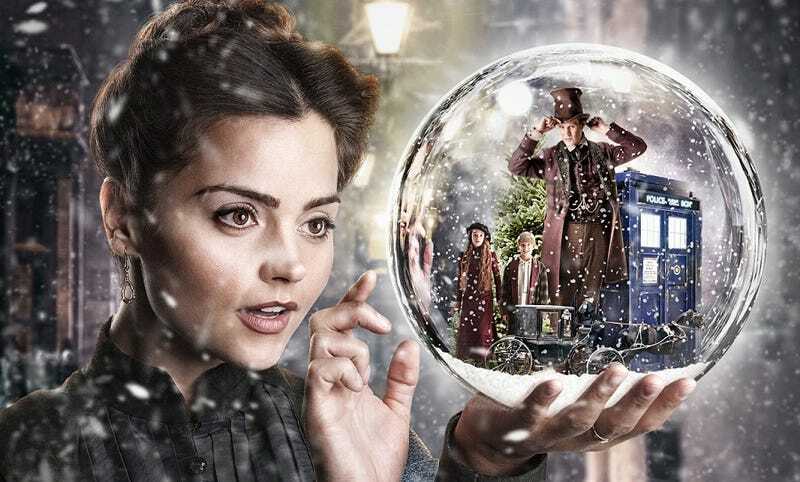 (As it is, you can see hints of greater depth and complexity in "The Girl Who Waited" and one or two other stories.) And meanwhile, I've described River Song as the central failure of Moffat's Doctor Who, and I stand by that. Does Steven Moffat have a master plan for Doctor Who? One of the frustrating things about Doctor Who in the Matt Smith era has been the way the uneasy fusion of "boy's own adventure" and "relationship sitcom" tropes has often left the characters, especially Amy, feeling like cogs in the machine.